Fall in the Northeast conjures images of brightly colored leaves on trees, cool nights, pumpkins and warm apple cider. Fall in California means it’s a perfect time to visit a winery! 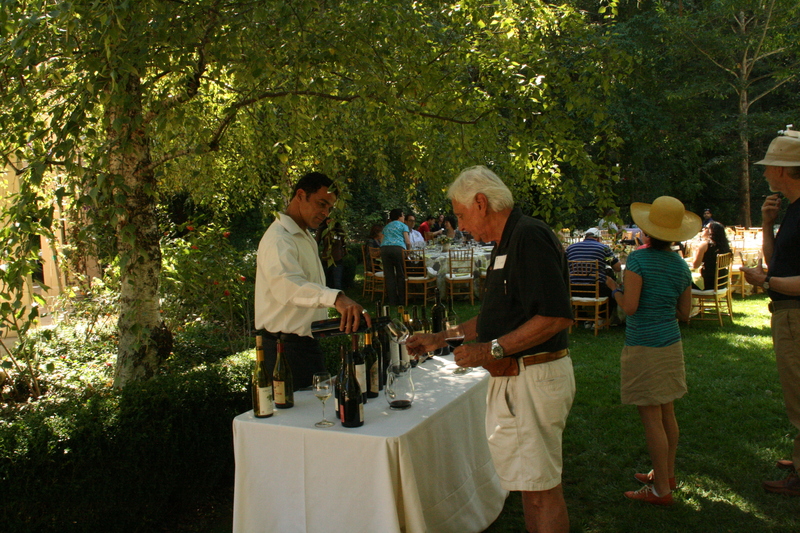 Here is a post I wrote about a wonderful event organized by the Penn Club of Northern California – a wine tasting at the private winery of alumnus Phil Schlein – back in 2012. 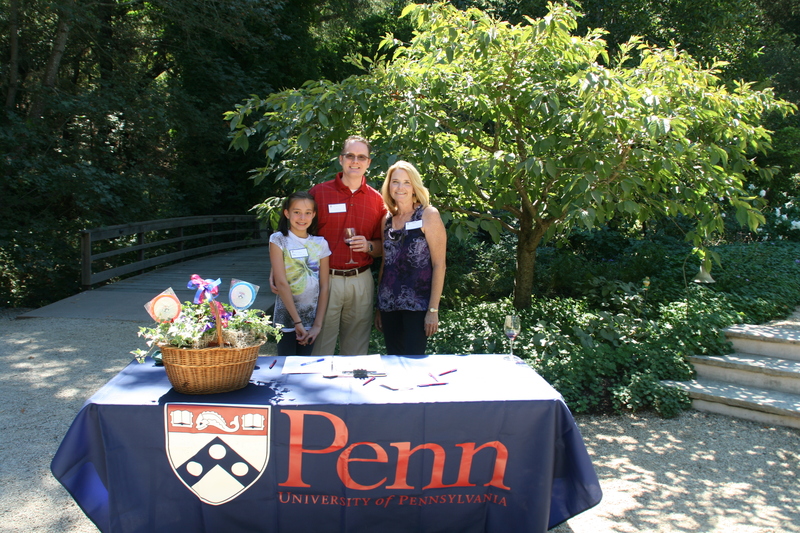 This post was originally published on the Frankly Penn blog on October 4, 2012. 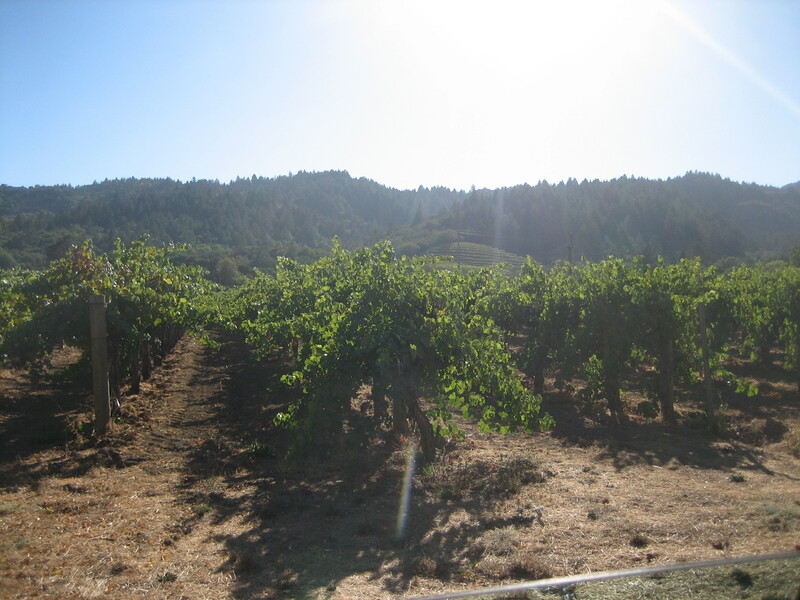 A few weekends ago, I traveled one bright sunny Saturday afternoon to the wine country north of San Francisco. 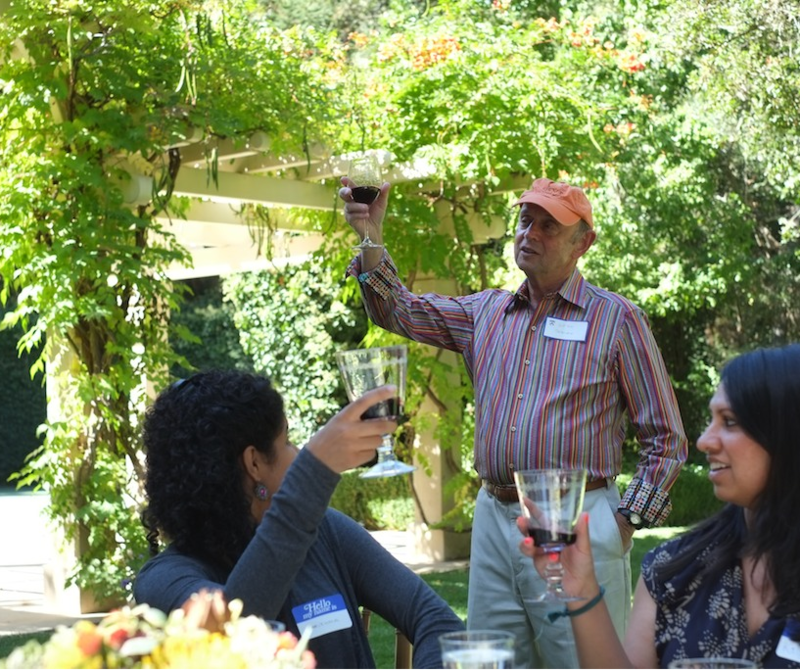 There, the Penn Club of Northern California hosted a wine tasting made possible by the generosity of Phil “Spike” Schlein, C’57. Spike opened his family vineyards and gardens in Oakville, Napa Valley, for touring and a wine tasting. 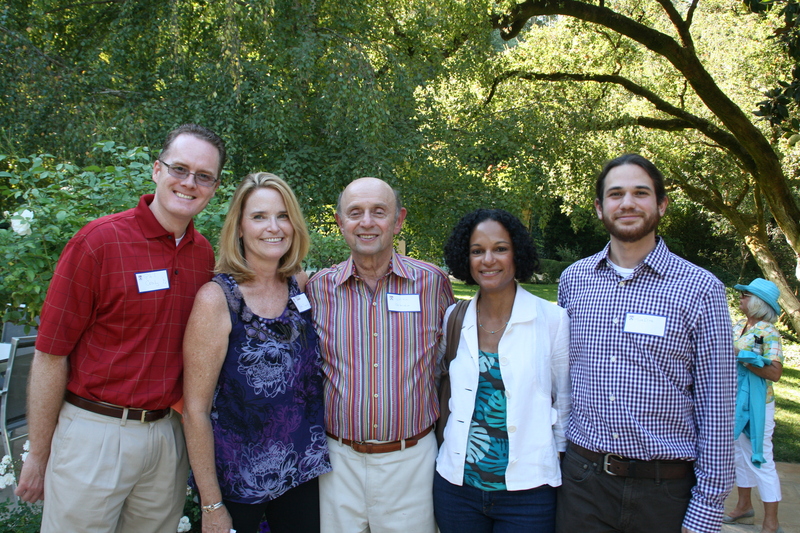 The Schlein family (Spike’s children Kathy, C’83, and Ted, C’86, are also alumni) honored the club with a similar event three years ago, and were happy to welcome local alumni again. Spike helped facilitate the wine tasting, and shared his story of becoming a winemaker, and the history of the vineyards that he’s owned for over thirty years. 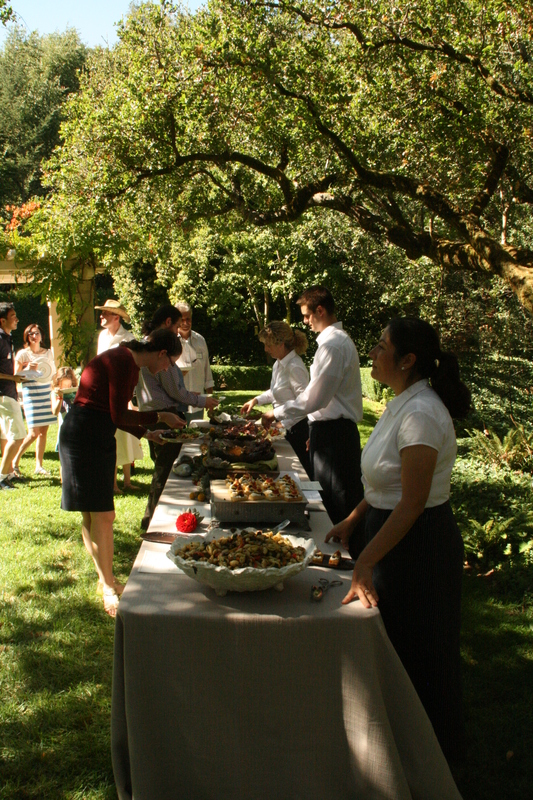 Everyone enjoyed the garden setting and delicious lunch buffet. Beth Topor, W’80, vice president of membership and communications for the club, shared information about upcoming events, and club co-president Tom Eliaz, ENG’02, encouraged alumni to share their ideas for future events and to get involved with activity planning. Alexandra Feinson, C’11, undergraduate admissions counselor for Northern California, attended and spoke to the group about Penn admissions. After lunch, Spike led everyone through a tour of the vineyards. 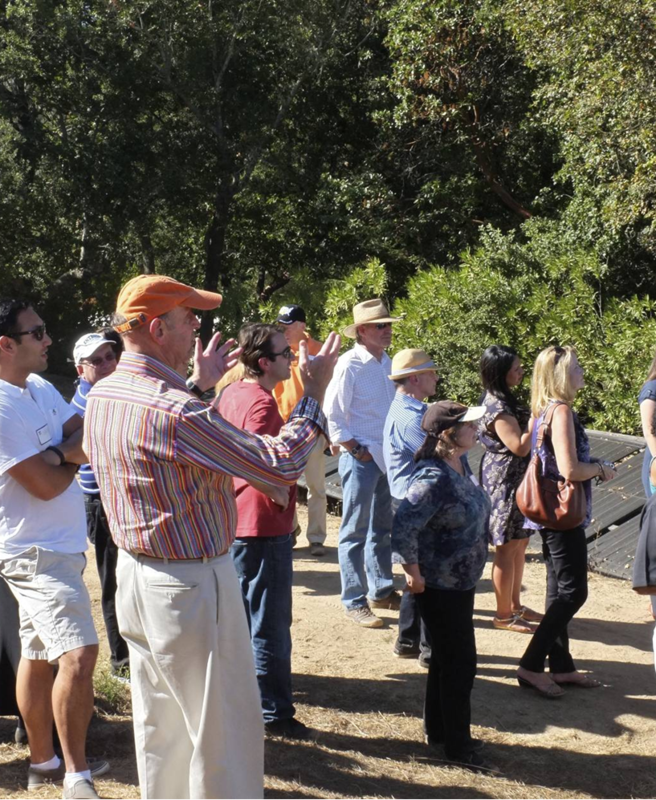 The Penn Club of Northern California thanks Phil Schlein for opening up his winery and all the alumni who attended and contributed to our Club Book Scholarship Program. They raised $1,855 and with Phil’s generosity providing the food and beverages, 100% of the proceeds goes to scholarships for local Penn students! 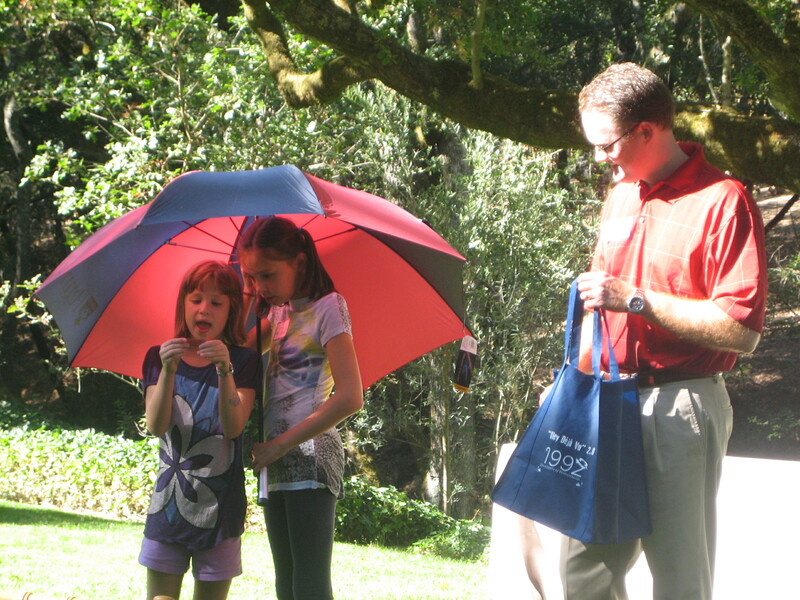 We also thank Arthur and Lindsay, two of their past scholarship recipients who spoke on the value of your donations. If you were unable to attend the event and would like to contribute to scholarships, click here, every dollar helps! What a treat to enjoy a relaxing afternoon in a beautiful setting and enjoy the conversation of fellow alumni. Here’s a toast to Penn! And a toast to Phil Schlein! 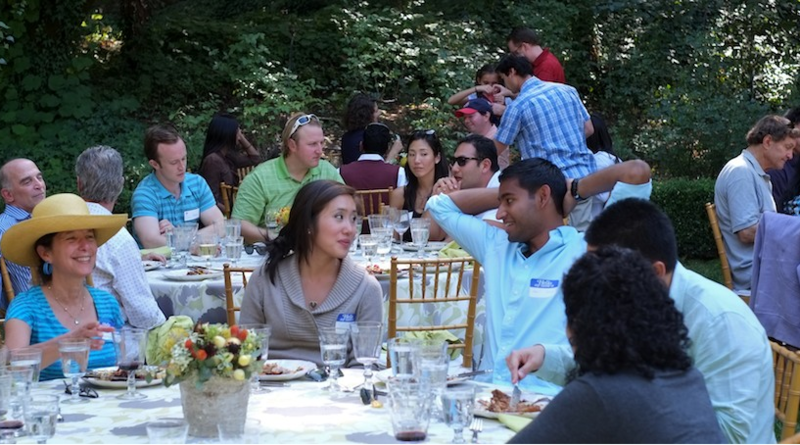 Click here to join the Penn Club of Northern California, sign up for their email newsletter and get involved with the club. You can also find the club on Facebook, LinkedIn and Twitter @NCPennClub. 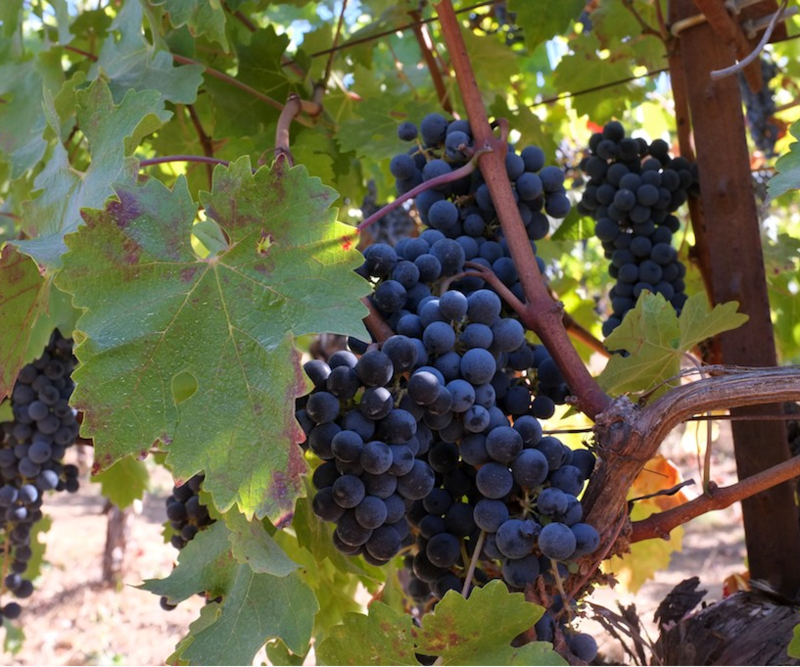 For more information on Schlein Vineyards, click here. 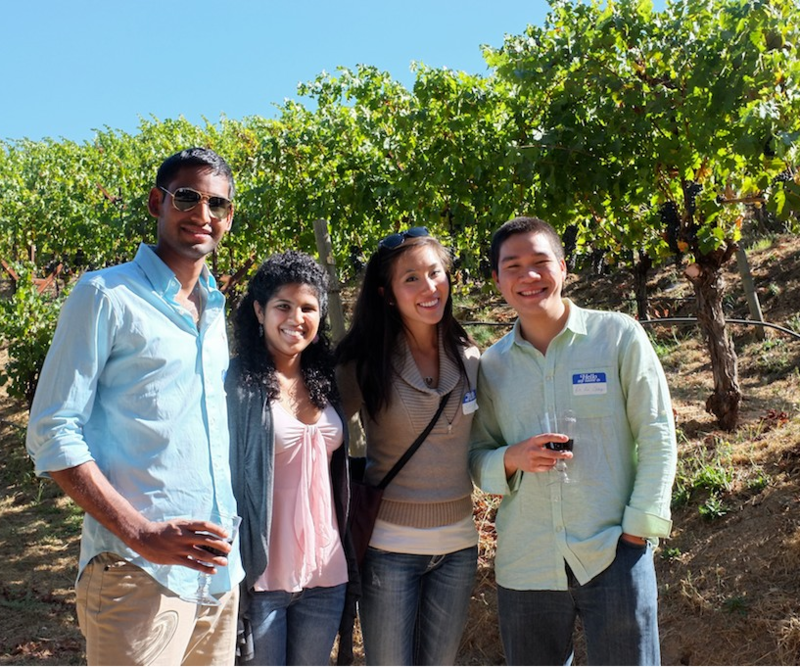 This entry was posted in California, Flashback, Napa Valley, Wine and tagged Napa Valley, Penn Alumni, Penn Clubs, University of Pennsylvania, wine by Kiera Reilly. Bookmark the permalink.